We host our very own annual Tony Bobby memorial race at the Bebington Oval in memory of Tony who was one of our founding members and a great coach. It provides an opportunity for our faster runners to race, and the others enjoy a more gentle pace. The event is club sponsored and there is no additional charge. 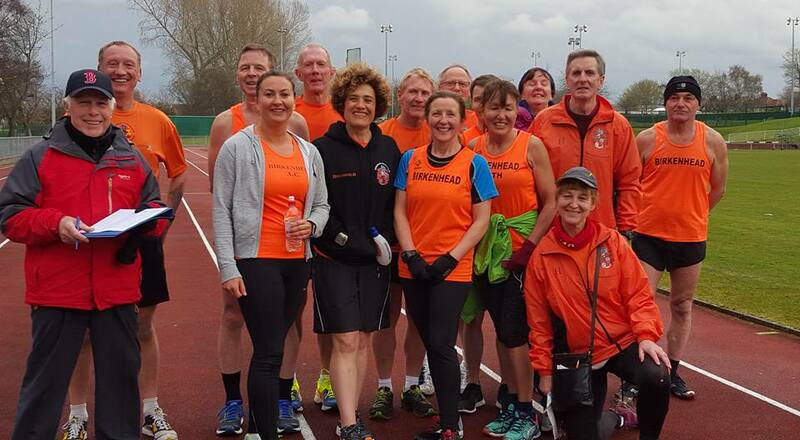 We run 12.5 laps, the equivalent of a 5k and usually meet for a meal afterwards. The 5k run was as is usual run in cold blustery conditions, but at least it was dry. Many thanks to Lesley Lines, Les Hall, Maria Brockway, Lawrie Brown and James Downey for their help with lap counting and timekeeping. Below are some pictures form previous years. Look out for the 2017 date.